One of the FS youtubers discovered two things - shown below. Should these two things suggest that the CLAAS DLC is coming? It's the art of disabling existing features before game release, so those features can be sold again as DLC. Honestly, not really. If the machine uses 'Claas' tracks in RL, it'll have them in-game too. Not that weird. As far as I know this Grimme combine has different crawler tracks in RL. So what is the explanation for that? Not to be annoying, but there's clearly CLAAS written on these. But does Giants need a license from CLAAS to use their logo in game? As Lisertan said sometime in the Discord server. the soundfiles aren't any actual proof of anything. Tbh I usually don't buy DLC without map, but I would buy Class DLC 100%. Especially if there was Lexion and Jaguar. The crawler was modeled according to the real model, which is has the Claas label on it. There are also various other stickers from brands that are not in the game otherwise. The Claas horn sound was used during early development as a placeholder since we did not have the actually model available for recording at that point, but randomly a Claas Xerion was available that was a good match temporarily. It was later replaced with the correct recording, but the placeholder entry was not properly removed. 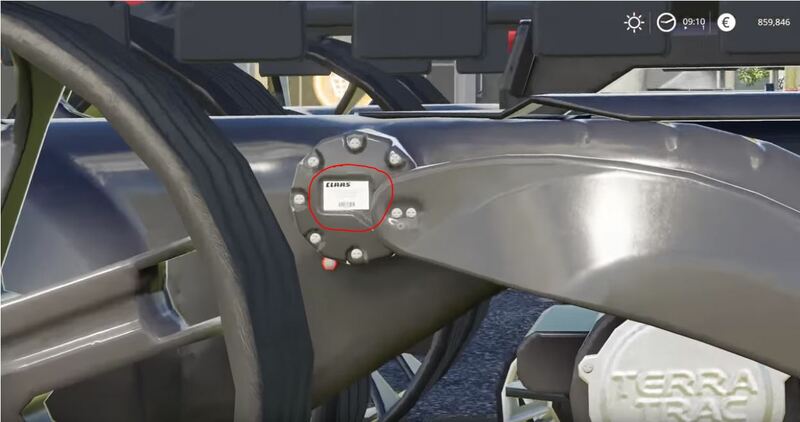 So these do references to Claas are not a hint to a Claas dlc. But you have to admit its a little weird that they have a sound file for a company that isn't even in the game. But, "Grimme" in Swaheeley translates to "Class" which in Redneck translates to "Claas"
Giants will introduce a new DLC soon, if the DLC will not be from a brand that is already in the game, for example John Deere DLC with more machines etc, and the next DLC would be a new brand , then 99.99% that brand would be Claas. Yes, Claas signed with the Kattles and Krops, but not exclusively with them, so if Giants would introduce a new brand that brand would be Claas. Patience is the keyword here, and despite all the speculations we have, in few weeks (or maybe sooner) Giants would announced the next DLC and 99.999999 % is going to be Claas.